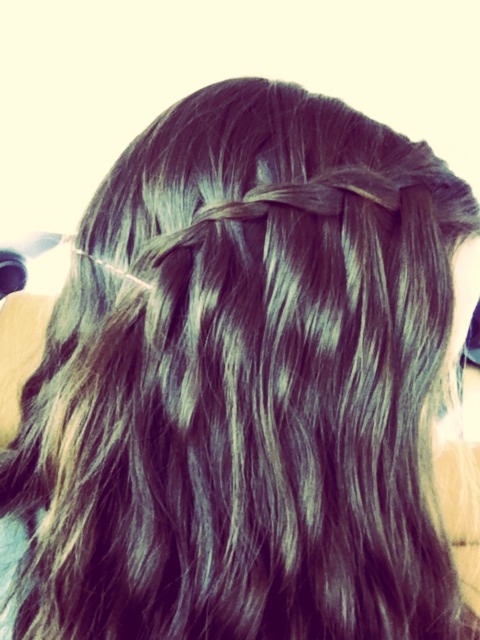 First you take a piece of your hair (like you would be starting a French braid on one side of your head). You split that piece in two and then you take the bottom piece and take it under a small chunk of hair and then you bring it out and twist it. Then you start the process over!